In stock. Order in the next 11 hours, 39 minutes and it will go out today! 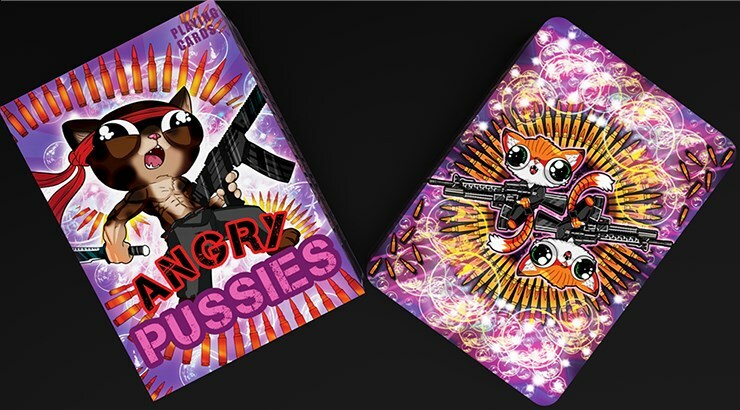 This "CLAW-SOME" deck features kittens with weapons, beautiful fanning abilities, world-class stocks and finishes, "HISS-TERICAL" artwork, and an amazing built-in magic trick! What else could anyone want? A perfect gift to bring a SMILE to someone you love, or literally have them laugh out loud! 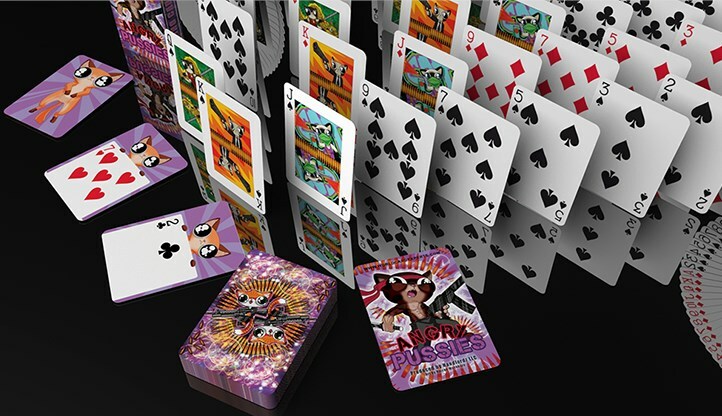 A MUST for collectors, card lovers, magicians, cat lovers and card players. 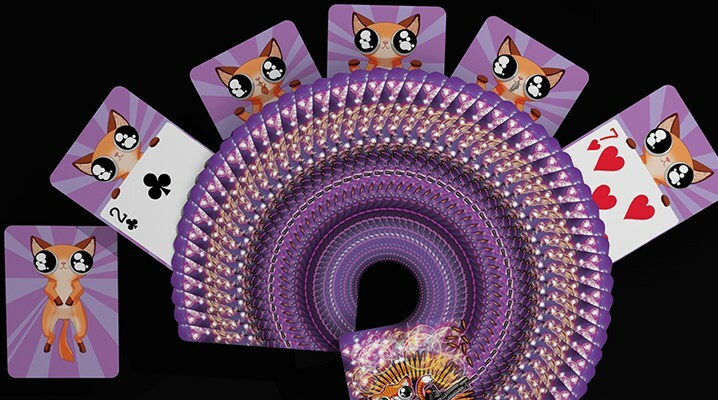 Show your "CAT-TITUDE!" 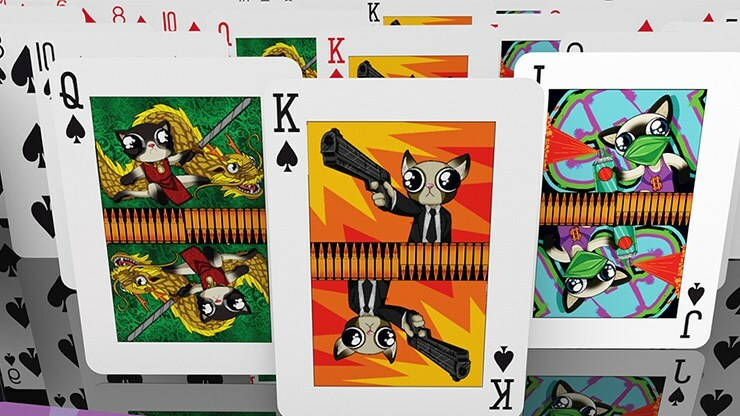 We are "PAW-SITIVE" you are going to LOVE this hilarious and awesome LIMITED-EDITION professional deck of playing cards by underground playing card legend - De'vo vom Schattenreich -- with artwork by Naiche Washburn. 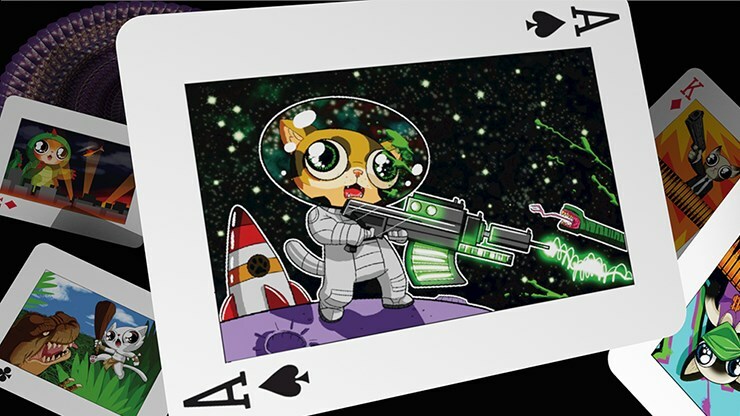 This deck started out as an April Fool's joke in 2014 and has since become legend in the playing card world. This special, limited edition has some slight changes, new coloring and an awesome built-in magic trick AND a limited edition box!